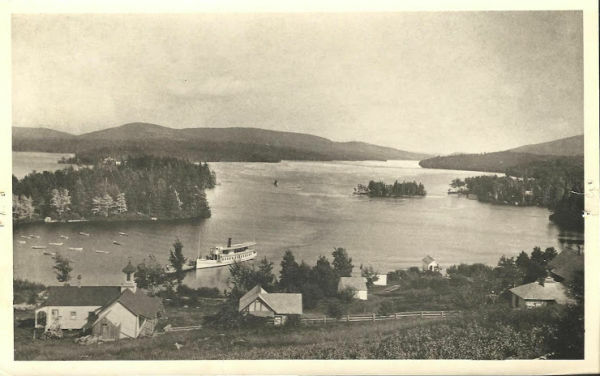 In the 1800s, the Gardner family owned much of the land that became Burkehaven, a part of Sunapee south of the harbor. At the end of the Revolutionary War, Christopher Gardner (1753-1849) was one of the original Sunapee settlers. His grandson, John Young Gardner (1819-1897) was born at the family home, Prospect House on Gardner Hill, later known as Burkehaven Hill, which overlooked the lake and Mt. Sunapee. John played an important role in the transformation of Sunapee from a farm and mill community to a tourist resort. In 1877-78, John Gardner with Albert Runals, built Runals House, the first harbor hotel, then 10 years later, played a part in building the grand Ben Mere Inn, where the Runals House had stood. Over time, the Gardner family sold off much of their pasture and shore property, first to other farmers, then to summer visitors. Several such sales in the 1860s were to Lafayette Colby (1824-1892) who bought Gardner family land that extended as far north as Cold Spring near Hedgehog on today’s Lake Avenue, south to Birch Point, Penney Cove and Burkehaven Bay. In 1875, Colby built Lafayette House, the first summer hotel on Lake Sunapee near his farm located at the top of a long meadow which extended down to the shore at today’s Burkehaven Bay. It was the start of many changes, for within 2 years, the first cottage near the bay was built by Amos Woodbury of Newport, the Lady Woodsum steamboat began transporting summer visitors from the Newbury train station and a telegraph line was strung to connect the hotel with the outside world. But in 1879, Lafayette Colby was in financial difficulties, and a share of the hotel, now called Lake View House was sold to Newport attorney and newspaper editor, Edmund Burke (1809-1882). Burke also built a cottage on the hillside above Amos Woodbury’s place and enjoyed the last few years of his life summering by the lake. He predicted a great future for Lake Sunapee and foresaw the need for a large steamboat to accommodate the future wave of summer visitors. Shortly after his death in 1882, his widow Mary Burke and daughter Frances M. Burke Dana (1848-1929) bought out John Gardner’s remaining ownership in Lake View House, which included 130 acres. Over the next 27 years, Frances and her husband Col. George Dana (1837-1917) undertook an ambitious development project to expand the hotel, buy more land and build cottages. They named their holdings Burkehaven, in honor of her father, Edmund Burke. By 1890, the area known as Burkehaven stretched west from Edgemont Road (Rte. 103B), to Birch Point, Penny Cove, Burkehaven Bay, Isle of Pines, Penny, Star and Emerald Islands to the east, north to Burkehaven Hill and Cold Spring, and south to Fisher’s Bay. The Danas transformed their hillside pastures into a settlement of terraced gardens surrounding quaint cottages with expansive porches overlooking the lake and islands. In 1885, they assembled a group of investors to form the Sunapee Lake Steamboat Company and built the 87 foot, 500 passenger steamboat, the Edmund Burke, fulfilling Burke’s dream of a large steamer on the lake. Many long-time guests of the Burkehaven Hotel rented, then purchased Dana cottages or built a cottage on Dana or Gardner land. At the turn of the century, Burkehaven had developed into a close-knit summer community. In 1888, Frances Dana first initiated the idea of building a church. 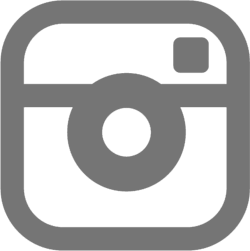 Through the support of many over a ten year period, the design of Rev. J.G. Wood of Winthrop, Massachusetts was built from local stone and the Burkehaven St. James’ Episcopal Church held its first service in 1898. 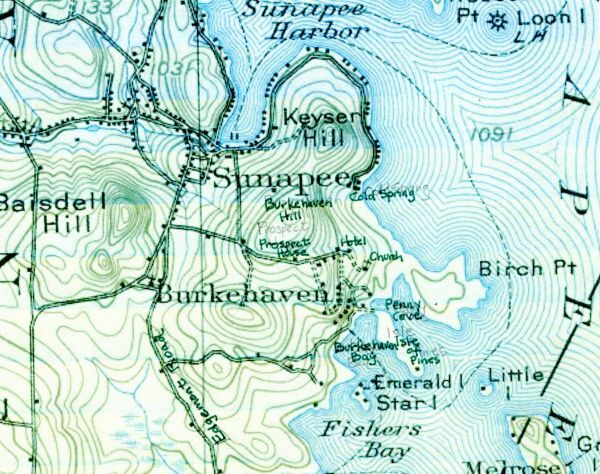 In 1889, Camp Sunapee for boys, opened in Burkehaven near the bridge to Isle of Pines, then relocated north of Birch Point. Over the years the camp provided a youthful exuberance along with many participants for the Burkehaven Regattas, an exciting community day of boating and water sports competitions. In 1912, Burkehaven had at least 25 cottages, including 6 on islands. Warren & Ethel Morgan opened Morgan’s Store across from the steamboat wharf and lived in the Amos Woodbury cottage. For 59 years, the store was the village gathering place for groceries, ice and mail. Morgan’s Boat Livery at the steamboat wharf, provided island deliveries, dockage and boat rentals. In 1920, when the Morgan’s took over the Anchorage restaurant in Sunapee Harbor, their daughter, Mrs. Dorothy Gould began to run the store. After their retirement, Morgan’s Boat Livery became Burkehaven Boat Works and Dorothy kept the store open until 1971. In 1950, the Burkehaven Hotel burned to the ground and was replaced by a motel in the 1960s. The Gardner family homestead, Prospect House was operated as an inn for many years, and in 1948 became Four Seasons Lodge, but is gone now. Burkehaven today remains a special community, with summer services at St. James’ Church, the Boat Works, and many of its historic cottages, now found in a much more forested landscape. Early settlers at the northern end of Lake Sunapee in the region known as George’s Mills included the George, Clough, Muzzey, Boyce, Stickney and Dodge families. Archibald or Ichabod Hersey (1752-1841), built the first mill for grinding grain, on Otter Brook between the pond and lake in 1798. That year, 21 members of the George family from Weare, NH arrived including: Joseph George (1733 – 1808), his wife Anna Worthen George (1739-1821), their married daughter, Mehitable Eastman and her husband Isaac Eastman, and married sons Elijah, Daniel and Samuel. Soon, sons Joseph and Benjamin George joined them bringing their family in Wendell to 41. By 1810, they numbered 54, comprising a sizeable part of the local population. The George family had run an inn and grist mill in Weare and a few years after their arrival at Lake Sunapee, Daniel George bought the Hersey grist mill and then built a saw mill further downstream. These mills were run by the George family for 3 generations. Thus by the 1830s, the northern portion of Wendell, later known as Sunapee, became locally known as George’s Mills. In addition to being a miller, Daniel George was a skilled mechanic and known for his spinning wheels. His son Daniel Jr. (1808-1864), next took over running the mills and was town moderator for many years. Daniel Jr’s son, Daniel Ackley George (1834-1891), known as “Ack” George, was the last member of the family to operate the mills. Across the dam, in about 1820, clothier David Colcord built a wool carding and dressing mill which was later run as a shingle mill and Stephen Page had a cooper shop which made all sorts of wooden containers. In 1818, Moses Muzzey built the first blacksmith shop on Muzzey Hill which was in use for about 50 years and later Ack George had a blacksmith shop near his mill. The first store was built by Nathan Burpee and David Colcord about 1835 and subsequently owned by Kidder & Hayes. The next storekeeper was John Colby who sold to Jonathan Russell (1802-1884). Goods were generally traded, rather than sold, with farmers offering their farm products in return for items they could not grow or make themselves. The store at Main St. & Prospect Hill Road remained in the Russell family until 1906, passing from Jonathan to son William (1837-1887), to grandsons Austin and Charles L. Russell. Charles married Ack George’s daughter Inez and in 1898 had the first telephone installed in George’s Mills at the store. About this time, a second summer store and small casino opened across the street and was run by Oren and Dewitt Colby until 1918, when it was sold to Ruth and Charles Almeder. The Russell store came back into the family when Tony Russell, Austin’s son bought the business back in 1936 and operated it until 1948. In the early 2000’s the building was converted to condominium apartments. The current store in Georges Mills was opened in 1953 by Claude “Chub” and Marjorie Gardner in the barn that had been Charles Russell’s horse & carriage livery. In 2015, the building burned down and has since been rebuilt. The first school was built in about 1826 with subscriptions organized by Hugh Clough (1802-1887). In 1860, it was moved near the lake and became part of Elm Lodge when a new school was built. A post office was established under the name of George’s Mills in July 1849, with delivery of mail 2 or 3 times a week by carriage. In 1878, the Woodsum brothers began a summer steamboat service connecting George’s Mills to the Newbury railroad station and soon provided much improved summer mail service and convenient access to the area. So began the era of summer visitors to the lake, including George’s Mills. They were served by several boarding houses including Bartlett’s Summer Rest and Davis’s Maplewood House, and summer hotels, including Colby House, built in 1891, Gould’s The Outlook, built in 1894, Pleasant Home, Elm Lodge and Lake Shore House, later known as Russell’s Inn. Ack and Miriam George who owned land around Perkins Pond, Otter Pond and Lake Sunapee began selling cottage lots to long-time visitors. Other businesses came to the village for the summer trade including Slade’s gift shop, photography studio and boat livery dating from the 1890s and about 1905 showman Billy B. Van came to town and built a motion picture studio and casino. An annual local regatta began in 1909 and in 1932 to 1940, George’s Mills became a focus of summer entertainment when it hosted the big Lake Sunapee Regatta. Today, with all the early farms, mills, hotels and boarding houses gone, George’s Mills is a quiet village of summer cottages and year-round homes. In 1768, Royal Governor John Wentworth of the Province of New Hampshire granted a group of citizens a deed to 23,040 acres of undeveloped land as the Charter of Saville, much of which is known today as Sunapee. Only one of the grantees came to live there, although they had contracted to settle 60 families by 1775. Among the first settlers was a group from Portsmouth who came in 1769 to the south end of the grant. In 1771, John Wendell, one of the original grantees, advertised for settlers to come to Saville in the Providence R.I. Gazette with some results before and after the Revolutionary War. A list of Saville settlers from 1775 documented 18 households, somewhat short of their goal. Six lived in the far southern section, 8 miles south of the “Centre”. By 1777, Elder Nehemiah Woodward, originally from Smithfield, R.I., arrived and married Lucy Rand in Saville. They lived on a “minister’s lot” south of the present Wendell depot and had 9 children. In 1801, they were part of an exodus of area families that moved to Bridgewater, Vermont. About 1781, more settlers from Smithfield, R.I. arrived and also settled in the southern part, including brothers, Abiather (1753-1827), Robert (1761-), Edward (1757-)and James Young (1768-1833) and brothers Eber Angell (1740-1804), who had 9 children and returned to Rhode Island about 1779, and Gideon Angell (1746-1833) who was married to the Youngs’ sister. The Young family settled on Young’s Hill and in the 1790s, 2 more brothers, Cornelius (1759-1808) and Esek (1750-1837) joined those already here. From the Portsmouth area came Joseph Lear. In 1781, the town’s name changed by petition from Saville to Wendell in honor of John Wendell, the Portsmouth original grantee, who had represented the town’s interests during the Revolutionary War. At the time there were only 25 families living in all of Saville. In 1789, the settlers in the far southern section of Wendell with others in the area petitioned to split off and form the new town of Goshen, which was granted in December 1791. 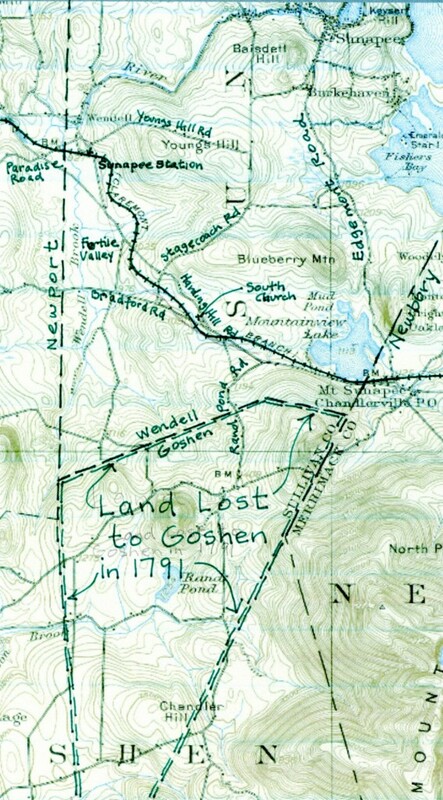 With this, Wendell lost 15 families at its southern extreme and a nearly 12 square mile pie shaped area that stretched to the Lempster line and included Rand’s Pond and most of Gunnison Brook. There must have been a lot of negotiating to determine exactly where the new boundary between Wendell and Goshen would be, which put some extended families in both towns. Other South Sunapee settler families included those of George Colby, Zachariah Batchelder, Amos and Ezra Eastman, John Clapp and Joshua Whitney. Wendell now had 36 families in total. The Angell family settled the fertile valley that includes today’s Johnson farm. In his day, farmer Gideon Angell (1740-1833) was said to have been the most prominent citizen of Wendell, a Selectman and largest taxpayer in town. Gideon’s son Smith Angell (1780-1855) married Betsy Clapp, had 6 children and lived out his life in Sunapee as did Gideon’s son John (1778-1844) who had 4 children. But around 1808, Eber Angell’s sons, Eseck (1767-1867), Noel (1765-1830) with 8 children and Stukely (1762-1844) with 7 children, all left the area for Bridgewater, Vermont. Eber’s son David Angell (1776-1827) owned Angell’s Tavern near the South Meeting House, married Deborah Clapp, had 5 children and died in Sunapee. There were so many people named Angell in the area that they called it “Paradise”, the namesake off the road that connects Wendell depot to Newport. 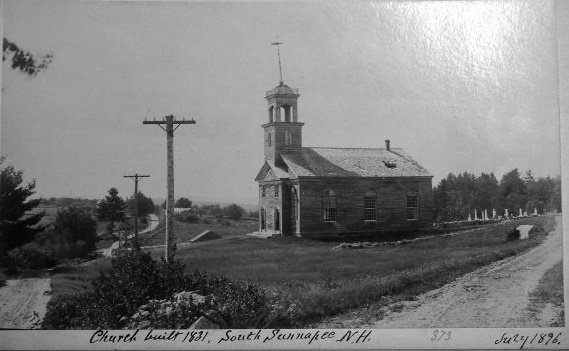 In 1832, the South Sunapee Meeting House a.k.a. the Union Church, was built on the site of the William Macbritton house and Asabel Lear was deacon. It fell into disrepair and was demolished about 1904. Its cemetery, known today as South Cemetery, is located on Harding Hill Road. 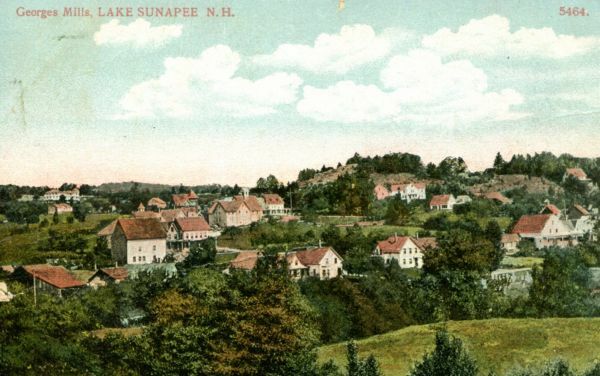 The town’s name changed a third time from Wendell to Sunapee in 1850 (made official by the postal service in 1853), however, the town’s agricultural economy continued unabated as the landscape was cleared for grazing. The stagecoach route from Claremont to Bradford ran through the area with the Batchelder farm as a stage station for changing horses and food. The farms of South Sunapee were soon significantly impacted, probably in a greater way than the 1791 land annexation by the coming of the railroad. In 1865, the Sugar River Railroad Company was formed by Newport businessmen to build a railroad line from Bradford to Newport, connecting the region to Concord. 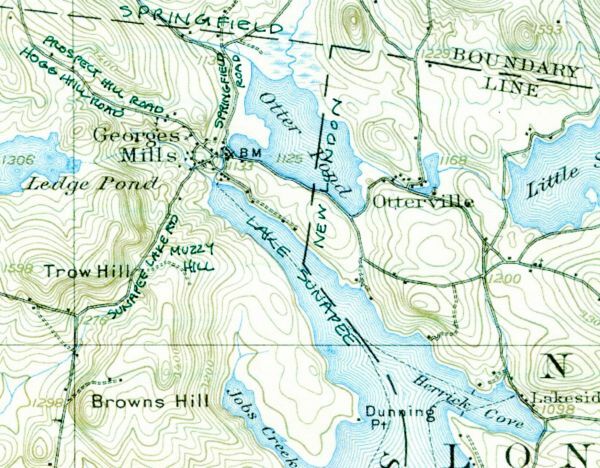 However, due to the Civil War, engineering challenges of the rugged Newbury terrain, and disagreements about whether the route should run along the lake shore to Sunapee Harbor, land for the railroad wasn’t purchased from the 11 South Sunapee families in its path until September 1870. A swath of land 75 to 90 feet wide was acquired and each farmer was deeded 1 or 2 farm crossings. The largest land purchase of several thousand feet in length was from Welcome Angell at a cost of $450. On September 6, 1872, the first train ran from Concord to Claremont carrying the Governor and guests, followed by a free excursion ride before regular train service began 6 days later. Two northbound and two southbound trains each day heralded a new era in Sunapee. In addition to bringing visitors, the railroad tracks divided South Sunapee in two. Fencing went up to contain farm animals but occasionally trains hit cattle. Sunapee Depot station with a big freight warehouse was built and Wendell Post Office was located nearby. The depot was a great boon to Sunapee industry, although people, materials and goods still needed to be hauled by way of horse drawn coaches on the river road from the village to the depot. The largest Sunapee shippers were U.S. Hames Co., Emerson Paper and Smith Machine Company. Today, the present depot buildings, area name of Wendell, remnants of old railroad bed, South Cemetery, old Angell family homes, (some of the oldest in Sunapee) and the broad expanse of fields with grazing cows at Johnson’s Sanctuary Farm are all that remain.